Despite the huge buildup in inventories which came at 5.8m barrels versus an estimated -3.4m barrels, Crude oil prices are back above the $68.5 level. This indicates that the demand for US oil is on the rise domestically and from foreign imports and the trend seems to continue for the coming period. 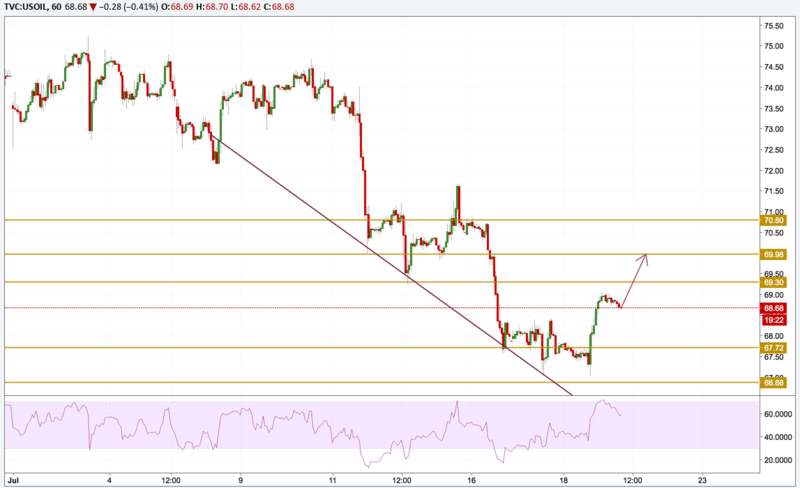 Technically, the price broke above the $67.75 level and is heading to the $70 resistance level. The price is currently in consolidation mode to ease the overbought conditions but the next level we will be focusing on is $69.50.